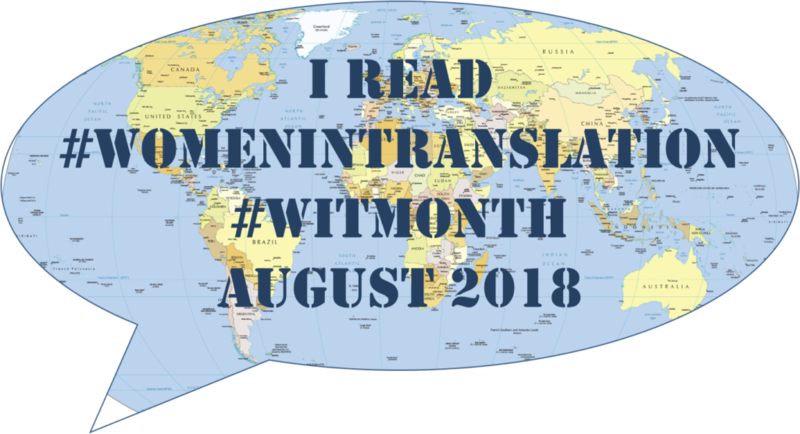 August was Women in Translation Month (#WITmonth) so I focused primarily on reading books in translation by women. Since I often read books by Scandinavian authors, I wanted to venture outside my comfort zone for #WITmonth. I started off with South Korea’s The Vegetarian by Han Kang (see last month’s write-up) and continued with books from France and Japan. Since I’ve already fulfilled the reading challenge prompt “a book in translation” many times over, I made little progress on my reading challenges but loved the opportunity to continue my summer travels through books. Once again, I’m joining other readers at Modern Mrs. Darcy’s Quick Lit to share short and sweet reviews of what we’ve been reading lately. Anita and Adam meet as students in Paris. She’s an immigrant from Mauritius and he’s from the French provinces. They both feel out of place but find comfort and love with each other. They move to the provinces, get married, and have a daughter. Life happens. She freelances for a local paper instead of writing the next great novel. He works at an architecture firm instead of devoting his life to painting. And then Adèle enters their life resetting it in an unexpected way. I really enjoyed this book. It’s a short novel but packs a lot into its pages. 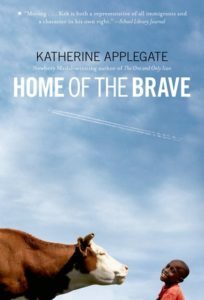 It explores immigration, including undocumented immigrants; cultural differences in society and within a marriage; family and motherhood (stay-at-home vs working mothers), and ambitions. It’s a tragic story but beautifully written. The characters and setting are described carefully and vividly. I thought this was going to contain some magical realism (since the cover I had originally seen has a woman flying into a subway train), but no, it was a down-to-earth look at the happenings and people in a neighborhood thrift shop in the suburbs of Tokyo. The main character, Hitomi, works the cash register. 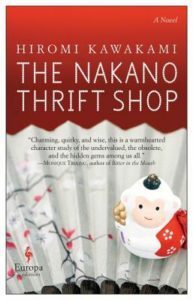 Her boss and the owner of the thrift shop is Mr. Nakano, a somewhat odd and mysterious person. His sister Masayo, an unmarried artist, is a regular presence in the store. And then there’s Takeo, the shy part-time co-worker who helps with pick-ups and on whom Hitomi has a crush. It’s an eclectic group of people, and I love a story with unlikely friendships. I also enjoyed getting a glimpse of everyday life in Japan. This is a middle grade novel-in-verse about a refugee boy from Sudan who resettles in Minnesota during wintertime. I was struck by how timely this book still is. It was first published in 2007, but the issue of refugees in America is still such a pertinent one. The book is entertaining and heartfelt. I chuckled at some parts and teared up at others. I admired Kek, the main character. He has a very positive way of looking at and dealing with life, especially considering what he has experienced. The author does not gloss over what Kek experienced in Sudan but presents it in a suitable way for middle graders. As an adult, I thought things may have fallen into place a little too easily for Kek in Minnesota, but then again, it is a middle grade book. 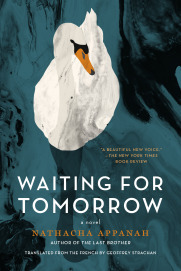 This entry was posted in Books & Reading and tagged #booksintranslation, #WITmonth, #womenintranslation by Patricia Zanuck. Bookmark the permalink. It’s been an interesting “reading summer.” I wish Jan Guillou’s series “Det stora århundradet” was translated into English. It’s an interesting series following the lives of 3 Norwegian boys/men (starting in late 1800s/early 1900s). I read #5 this summer which has found us in Stockholm during WWII. Guillou does a lot of research which makes his historical fiction interesting. Read more Swedish authors and in between read 2 more Donna Leon books “starring” Commissario Guido Brunetti. Light, easy, fun reading in between heavier crime novels. I have a Jan Guillou book in my bookcase, but it’s not that series. Thanks for sharing what you’ve been reading. I always enjoy hearing!